There’s something depressing about a young couple helplessly in love. Their state is so perfect, it must be doomed. 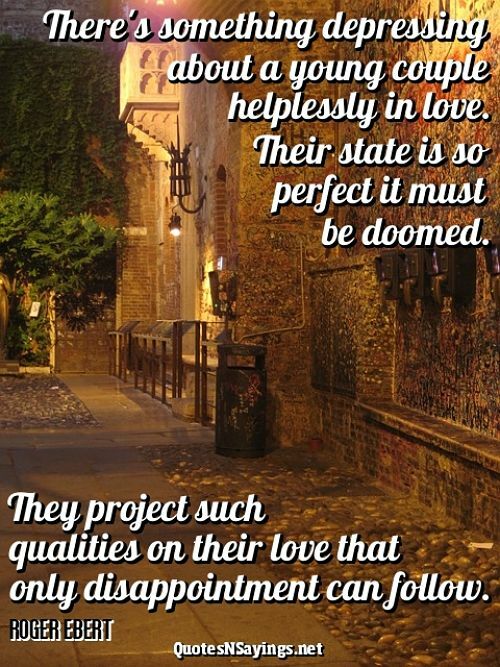 They project such qualities on their lover that only disappointment can follow.